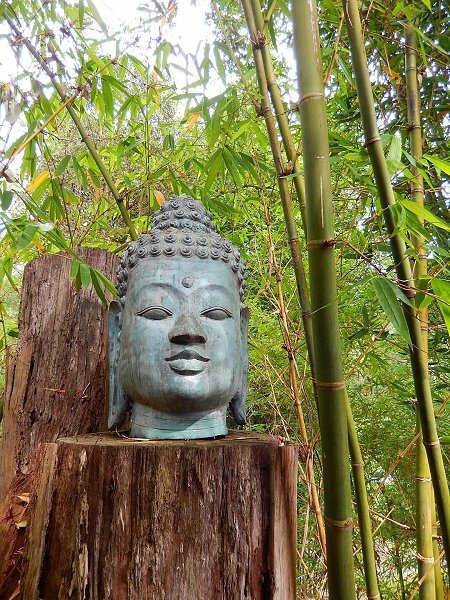 If you are searching for some peace and serenity, then head out to the Bamboo Buddha Café at Holgate in the Central Coast hinterland. 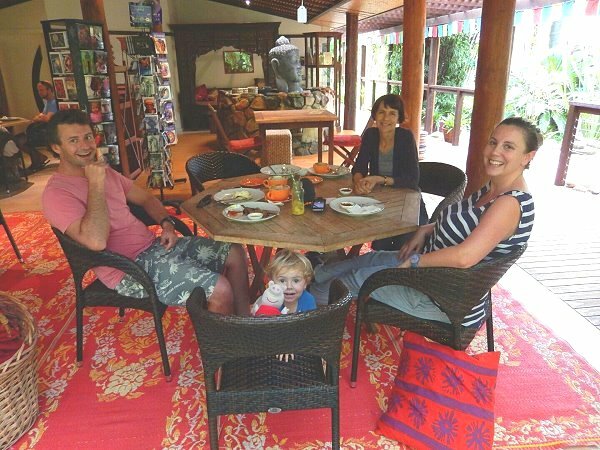 Set in a tranquil Bali-style garden with stands of bamboo, fish ponds and thatched huts, the café is pet and family friendly. The healthy meals are vegetarian and vegan – using local and organic produce where possible. Even the avid meat-eaters in our group enjoyed the food! We shared a brunch of poached free range eggs, Belgian waffles, toasted banana loaf, Byron Bay muesli and lashings of good coffee and mugs of hot chocolate. Service was friendly and fast. The vibe of the café is funky and relaxed. 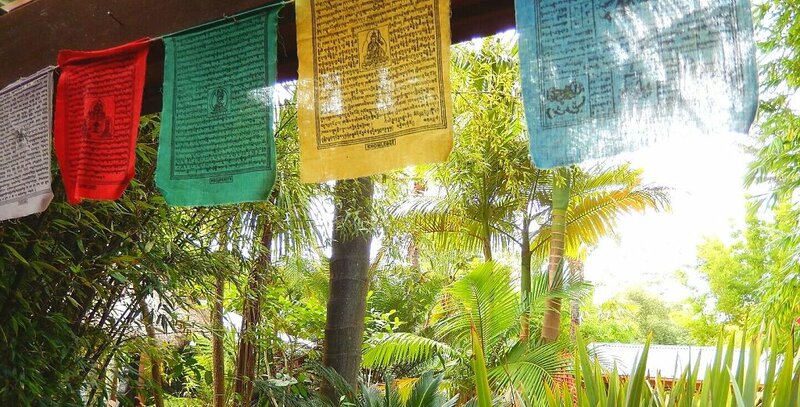 There is a gift shop and yoga room offering regular classes within the complex. 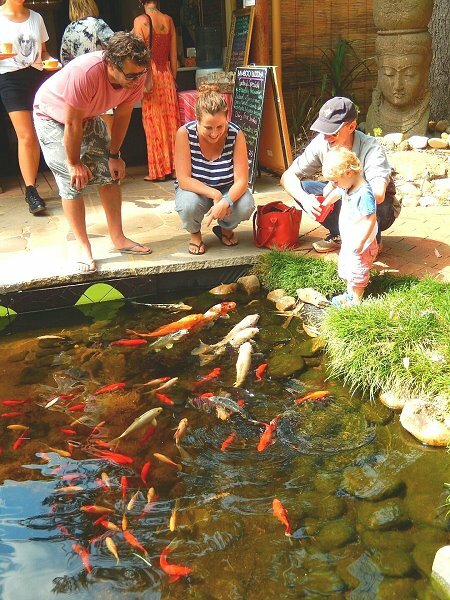 Kids can feed the colourful koi fish in the ponds – great way to keep them busy whilst you relax! 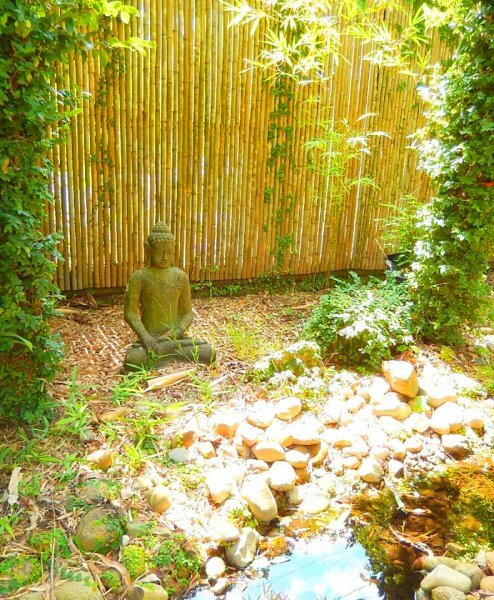 The Bamboo Buddha Café is found at 221 Wattle Tree Rd, Holgate.